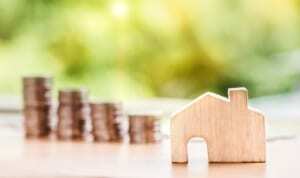 Myth Busters: The Truths of Pricing and Selling Your Home | Fournier Law Firm, Ltd.
One of the most important decisions a home owner who has decided to sell their home can make is what the list price of the home should be. Emotions, financial strains, and decisions based on inaccurate or misunderstood information can lead to a disappointing and frustrating sales process. In an article published by Realtor.com, Cathie Ericson helps debunk home pricing myths that might have home sellers hung up on their list price. Reviewing these myths and understanding the truth about the pricing, listing and hopefully selling a home will help sellers start out on the right foot. When deciding on a listing price, sellers may be turned off by the idea of pricing their home too low, assuming they will not make as much money in the sale. However, low priced homes might just attract more buyers and the increased interest in the home might result in a bidding war. The article details the truth behind other myths such as recouping 100% of the cost of home renovations, the real estate agent’s stake in the pricing strategy and the whether all home owners make money on the sale of their home. Read the entire article.